Mr. Schilawski is a partner in the law firm of Wake Family Law Group in Raleigh, North Carolina. He received his B.A. degree from the University of North Carolina at Chapel Hill in 1971, his M.Ed. degree from North Carolina State University in 1976 and his J.D. degree from Campbell University in 1982. He served as Editor-in-Chief of the Campbell Law Review. Mr. Schilawski's principal area of practice is family law. In 1989, he was board certified as a specialist in family law by the North Carolina State Board of Legal Specialization. In 1999, he was certified by the North Carolina Dispute Resolution Commission to conduct mediations of equitable distribution and other family financial cases in District Court actions. In 2004, he was admitted as a Fellow to the American Academy of Matrimonial Lawyers. He is a member of the Wake County Bar Association, the North Carolina Bar Association, the American Bar Association and the North Carolina Academy of Trial Lawyers. 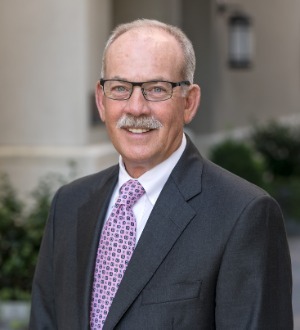 He has been a frequent speaker in family law CLE programs for the North Carolina Bar Association, the North Carolina Academy of Trial Lawyers, Wake Forest Law School and other agencies and associations. Mike has earned the highest AV rating from Martindale-Hubbell continuously for 35 years. North Carolina State University, M. Ed.